I was born in Norsey Road in 1927. It was very country down Norsey Road – there were just a few houses and fields and a few more houses. We got a lot of pleasure from playing in the open spaces and it wasn’t until it came to school days that you realised how far you had got to walk. We walked from Norsey Road, way down past Jubilee Cottages and then we walked all the way up to Great Burstead School. We went home again at lunch and then came back after lunch and we walked back home again at four o’clock. There wasn’t the traffic for the children to have to combat, of course. We had no buses. The only bus was Mr Amos’ bus from Ramsden Heath who took my Father and other gentlemen to the station in the morning and then met them at 6 o’clock and went through to Ramsden Heath. Then eventually, but I can’t remember what year it must have been -my early school years, they started cutting all the trees to get a bus service going, but that was only two a day, something like that. Miss Burch was the Head Mistress – pretty strict with her cane. My brother who is 5 years older than me also went to that same school, so there were several of us that went from Norsey Road each day to the school. I remember being very happy there. When I look back there were children in need even in that time. You don’t appreciate it as a child but I can remember them appealing for clothing and shoes. My mother sent anything that we had up to the school because there were one or two very poor families; they were very large families and of course there was no real relief in those days -there was some relief, it used to be called the Burstead something, but obviously it was for the needy, we weren’t that much in need by any means. I have gone up to The Fold several times to events, and of course it’s all modern as far as it goes but the old fire place in the back room is still there and I can remember that fireplace lit, I mean today health and safety would never, never allow it but I can remember the big fire guard round that fire, and I don’t think there was any other heating, I can’t remember there being any other heating, I don’t think there were radiators or anything. We had books and paper and pencils, I think provided by the authorities I don’t remember us ever taking pencils or anything to school, perhaps we did if someone gave us a present of a pencil or something, we didn’t have biros -it was ink pots. Everything was pen and ink and there was a big demand for proper handwriting. We were encouraged very much, we had lessons in handwriting it was not just a case of doing your geography and writing, you had an actual writing lesson. For Senior School I went through to Brentwood. My brother went to the Boys Grammar School, I went to the Girls County High School and my younger brother went through to Chelmsford Grammar School so we all went out of the area at 11. No sooner had I got to Brentwood than the war was declared – so a big, big hit there – very, very disrupted schooling from then on because we had a London school billeted on us at Brentwood. We did three days, they did three days. Saturday was part of the week whether you did Monday , Tuesday, Wednesday or Thursday, Friday, Saturday, it didn’t matter and that lasted quiet a long while; not to mention of course the interruption of getting down into the shelters goodness knows how many times. It seemed like most days for quite a while. During the war years when we all kept chickens for eggs, we used to go down to the fields gleaning after the harvest to collect food for the chickens .. anything to feed the chickens because we had no allowance of corn or anything,we just had what we mixed up ourselves. I have 2 school reports from 1950 and 1951 for myself and signed D.V. Roy, Headmistress. I have a vague recollection of being left at school behind high iron railings and gate by my mother before she left for work. I would like to find some photos of the school taken at about that time. I was born , at the end of 1934, in a cottage next to the Fox and Hounds, Ramsden Bellhouse. 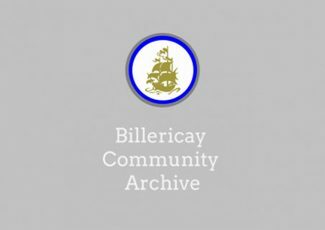 The family moved to West Park Drive, Billericay, in 1937. I started school at Gt. Burstead Junior School in 1939. First class, Miss Gatlin. Other teachers then included Miss Powell, Mrs Roddom, Miss Keen, and Head Mistress Mrs Roy (who had been Miss Birch). As war broke out shortly after I started school, many lessons were spent in the school shelter and I can fremember the smell of the elson toilet. I remember getting the cane from Mrs Roy……for filling my mouth with water from the lead cup attached to the drinking fountain in the playground and squirting it at girls. I liked that school and have many more memories of it. If anyone is interested I will be pleased to share those memories. Did Miss Birch get married and become Mrs Roy and live on the corner of School Road?